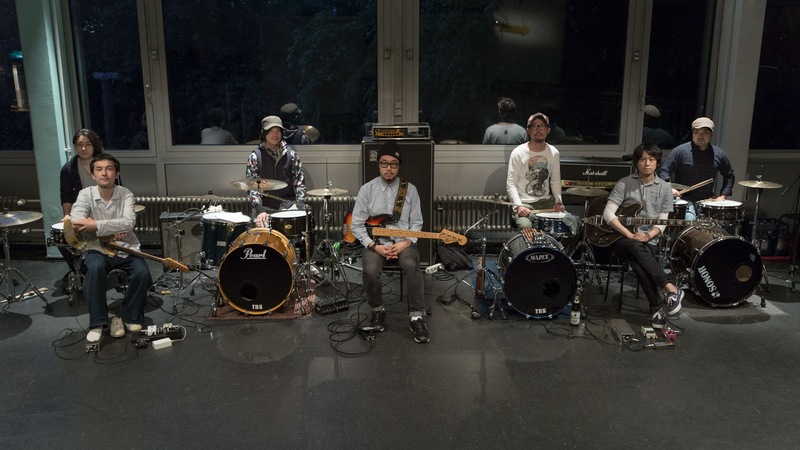 Sangatsu consists of four drums, one bass, and two guitars. Formed in 1997 in Tokyo. Creates music focusing on the shapes and motion of sound. Debuted with Sangatsu produced by Jim O’Rourke and has released five albums ever. Launched a project called “Catch & Throw” to build an online platform where anonymous “sound is delivered” through collective work and to present the processes as pieces. Declared that they would renounce the copyrights of their future pieces in January 2012.